Over-indebted consumers will soon be able to receive urgent debt relief. The National Assembly on Wednesday passed the National Credit Amendment Bill. The bill will be sent to the National Council of Provinces for consideration. Although the bill will enable the poor and low-income workers to extract themselves from debt through a process of debt restructuring, fears have been raised that it could in fact drive up the cost of loans and limit access to credit. ANC MP Joanmariae Fubbs explained to the National Assembly that the bill will allow for intervention for over-indebted consumers earning R7 500 per month or less. The first step in the intervention process involves debt restructuring giving consumers five years to pay their debt. If this is not possible, the credit agreement will be suspended for 12 to 24 months but there will be regular reviews, Fubbs added. “If after two years a consumer is still not in a position to repay his or her debt, then extinguishing the debt, or a percentage of the debt will be considered,” said Fubbs. The extinguishing of debt will only take place once all other measures have been exhausted and it comes with conditions, such that consumers cannot acquire more debt from the date of their application of relief. The bill will also encourage and enforce responsible lending and borrowing as illegal lending will be criminalised. This means unregistered lenders will be arrested. Magistrates will also have the power to make rulings on reducing interests on loans to as little as zero percent to enable consumers to repay their debt, explained Fubbs. EFF MP Elsabe Ntlangwini described the bill as a “lifeline” for over-indebted black people. However some political parties held a different view. DA MP Dean Macpherson argued that the amendments will increase the cost of credit and restrict access to credit. He also raised concerns as to whether the Consumer Tribunal and National Credit Regulator will have the capacity to handle the deluge of applications. 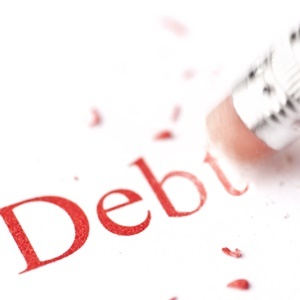 Inkatha Freedom Party MP Jan Esterhuizen also criticised the bill, saying that although it appears to be a mechanism to assist over-indebted consumers, it is actually a double-edged sword which will discourage them from managing their own credit responsibly. He also echoed Macpherson’s views that credit providers will restrict lending as the possibility of repayment will no longer be guaranteed. ANC MP Lindiwe Zulu however justified the bill as being a step in correcting the wrongs of apartheid. “I know many of you sitting on my left side have benefited from all the money collected from black people, that’s why you are not supporting it. “Our grandparents suffered because of your grandparents who made sure they take all the money,” she said.